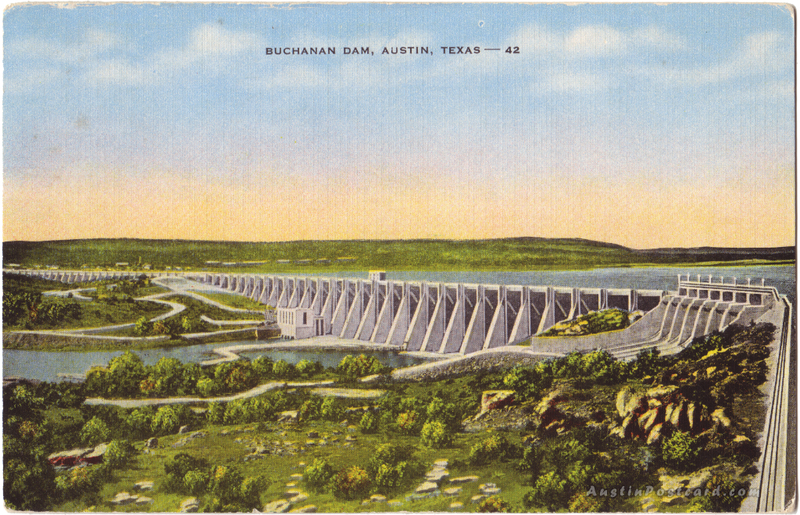 Text on Back: Buchanan Dam on the "bottle-neck" gorge of the Colorado River, largest of a series of dams above Austin, designed to regulate the Colorado River for flood control, makes possible the reclamation of thousands of acres of land meanced by recurring floods. Flood waters, which cause serious destruction of life and property, will be impounded and harnessed waters used for the production of electricity in the power plants which are part of the project, financed with $15,000,000 of P.W.A. funds.